Have you ever had a stye? It usually starts with a little bit of pain or a feeling of heaviness in your eyelid, and you’ll notice a little red spot on your lower eyelid. It’s not harmful, but it can be unsightly, uncomfortable, and annoying. What, exactly is a stye? More importantly, how should you deal with it to make it go away? A stye, also known as a hordeolum, is a bump near the edge of your eyelid caused by a localized infection in the eyelid. Styes develop from an eyelash follicle or oil gland that becomes clogged somehow, either from oil, debris, or bacteria. They can be a complication of blepharitis, an inflammation of the eyelid or they can be the result of stress. Use a warm compress. You can buy compresses especially made for eyes, or you can use a clean, warm washcloth as a compress. Just press the compress to your eyelid for about ten minutes, at least four times each day until the stye is healed. Massage the affected area. Use the tips of your fingers to gently massage the area, making sure your hands are scrupulously clean, and taking care not to poke yourself in the eye. Eye drops may help heal the infection. Your eye doctor can recommend medicated eye drops or antibiotic ointments that you might find helpful. Try eye lid scrubs. Specially formulated eyelid scrubs are similar to a moist towelette and are designed to address the underlying problems of bacteria or blepharitis. You can sometimes prevent a stye by keeping your eyelids extremely clean. Don’t sleep in eye makeup, and avoid touching your eyes throughout the day. It may also help to manage your stress. It’s not always possible to avoid them, though, and if you do get a stye, it’s wise to try to reduce its duration. When a stye lasts for a long time, it can turn into a chalazion, which may require a steroid injection or lancing. Your doctor can lance the chalazion for you, but you should never try to squeeze or pop a bump on your eyelid at home. Squeezing a stye can cause a serious eye infection. There are eyelid bumps that are not styes, like millia and xanthelasma. It’s a good idea to see a doctor if you have a bump on your eyelid, rather than assuming you know what it is and treating it at home. Your doctor will be able to correctly identify the bump on your eyelid and recommend the right treatment for your specific condition. If you are looking for an eye doctor, the Gerstein Eye Institute in Chicago can help. Since 1968, the Gerstein Eye Institute has been providing exceptional ophthalmologic care to patients in the Chicago area. With decades of experience in ophthalmology, our certified professional staff members work hard to provide the kind of personalized care that keeps patients coming back year after year, eventually entrusting the eye health of their children and grandchildren to us as well. To schedule an appointment, call us at 773.596.9545 or contact us through our website. Why are your eyes itching? More importantly, what can you do about it? Itchy eyes can make a person feel frantic, and when you’re eyes itch, it’s hard to concentrate on anything else. Rubbing your eyes is an almost irresistible urge, but it’s a bad idea because it can make things worse and sometimes even cause a corneal abrasion. There are better ways to handle the problem, so here, we give you the run-down on itchy eyes and eyelids. What makes eyes itch, anyway? Most of the time, it’s allergies. Some sort of allergen causes your body to release histamines into the tissues around the eyes, and you’re left with itching, redness, and swelling. The allergen might be pollen, dust, or animal dander, and seasonal allergies can cause allergic conjunctivitis in the spring when outdoor allergens like grass and weeds are in full force. Things like mold and dust, though, cause allergic reactions all year long. Sometimes, the culprit is a product you’re using, like contact lens solution, makeup, lotions, soaps, or even artificial tears. Allergies aren’t the only thing that might be making your eyes itch, though. Some people find that dry eye syndrome or Meibomian gland dysfunction cause both itching and burning. If your eyes are red and inflamed, the cause might be an inflammatory condition called blepharitis, caused by bacteria or microscopic mites. Sometimes, something as simple as wearing your contact lenses too long can cause your eyes to itch. Because there are so many reasons for eyes to itch, it’s smart to see an eye doctor to determine the cause. Often, though, itchy eyes can be treated without using medicines. Placing cold compresses over the eyes can bring relief within just a few minutes, and you can repeat this process as often as you need to do so. Sometimes artificial tears can be used to treat eye allergies because they wash the allergens out of the eyes. Keeping the bottle of artificial tears in the refrigerator can make them particularly soothing to burning, itching eyes. Allergy medications, both in oral form and eye drops, can help if your problem is an allergen. In many cases, your doctor will need to prescribe eye drops or oral medications to treat your itchy eyes and eyelids. It’s important to follow your doctor’s advice, and use the right kind of treatment for your particular condition. The good news? Some medications can make you less prone to having itchy eyes in the future. If you suffer with seasonal allergies, you’re not alone. According to the American College of Allergy, Asthma and Immunology, up to 30 percent of adults and 40 percent of children experience allergies each year. Along with sneezing, runny nose and congestion, many seasonal allergy sufferers experience red, itchy, swollen or watery eyes. 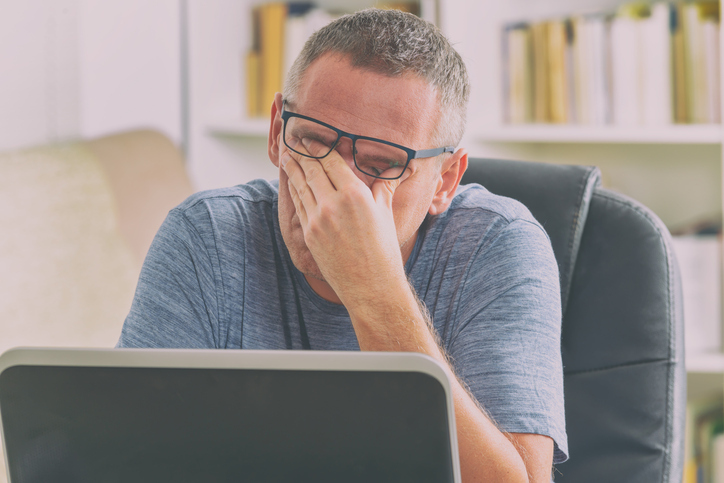 With more information about what causes common eye allergies, you can learn to avoid them and find solutions for your symptoms. The first step is to figure out what you’re sensitive to with allergy testing or through simple observation. Then, you can take necessary precautions to prevent exposure to them. If your eyes itch and swell after petting animals and then touching your eyes, you should keep pets out of your bedroom and wash your hands immediately after handling dogs or cats. If outdoor allergens are to blame, stay inside on days when pollen counts are high, and wear wraparound sunglasses to shield your eyes from pollen. If dust sets you off, wash your bedding weekly in hot water and replace wall-to-wall carpeting with hardwood floors. If cosmetics or eye drops make your eyes swell, look for all-natural products to prevent this. It may also be helpful to switch from contact lenses to glasses during allergy season. Contacts can accumulate airborne allergens, which irritate your eyes and worsen your symptoms. Glasses, on the other hand, actually help keep irritants out of your eyes. Apply eye drops. Over-the-counter varieties should work for relatively mild symptoms, while you may need a prescription to treat more severe eye allergies. 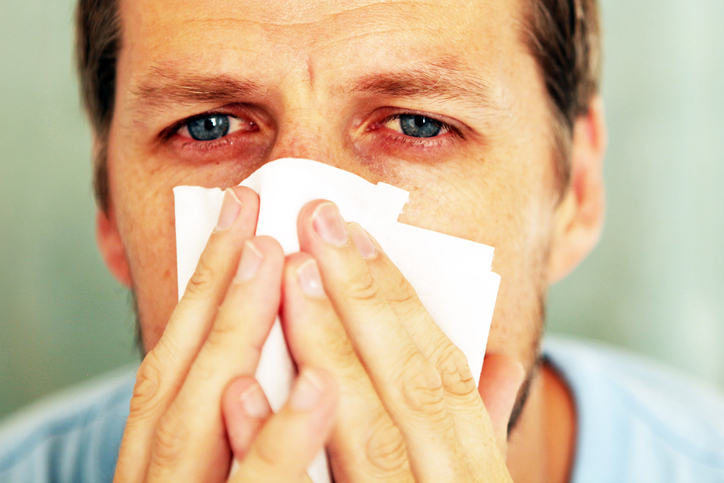 Take antihistamines and decongestants to reduce the symptoms of an allergic reaction, including red, itchy eyes. Apply a cool washcloth to your eyes to relieve puffiness. Cumber slices are also effective. Apply cold, damp tea bags to your eyelids. After steeping tea, save the bags. Keep them in the fridge until your next allergy flare-up. Then, place them on your closed eyes for two to five minutes. Flush away irritants with saline solution. Stand over a sink and rinse your eyes with sterile saline or artificial tears. Eye allergies are just one consideration in your overall eye health. To ensure your vision stays crisp and clear, make it a priority to visit Gerstein Eye Institute in Chicago, IL for preventative eye care. We have been helping patients take care of their vision since 1968, and we’re committed to helping you find the right treatment for you! For more information, or to schedule an eye exam, please contact us at 773.596.9545 today.